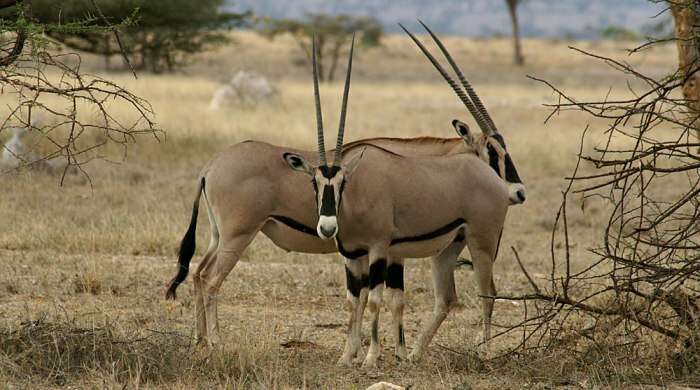 Depart Nairobi in the Morning to Samburu at the North rugged Semi desert region, through harsh contains some of the species rarely found elsewhere e.g. Reticulated giraffes, grevy’s zebra, kuchi, Beisa oryx’s, Somali Ostrich, genenuk, vulturine, guinea fowl among others. Arrive in time for lunch afternoon game drive. Dinner and overnight at a lodge. Full day in Samburu with morning and afternoon game drive, optional visit to Samburu villages. Meals and overnight at a lodge. Pre-breakfast game drive, after breakfast depart for Nairobi arriving in the afternoon.